Greetings from the Community Farmers Market in Bowling Green! We’re taking over FMC’s Instagram this week to share with you a look into our market. The market is loved by our community, and for good reason! As a new “visitor”, there are a few things you ought to know to fully appreciate the market that surrounds you. In April 2011, a small group of farmers and makers gathered together in a back parking lot. 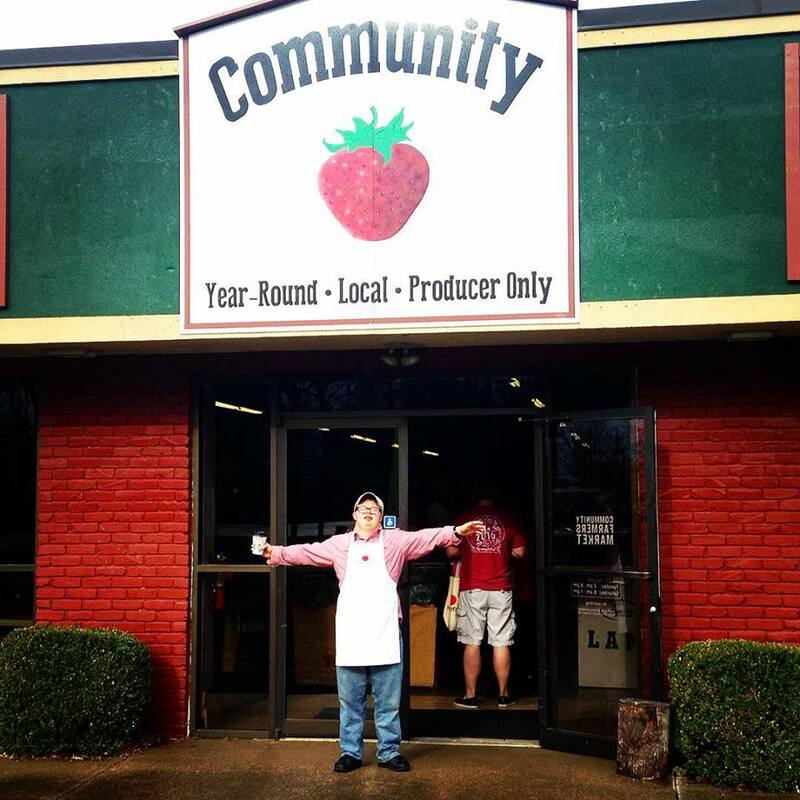 We had big hopes and dreams of what this little farmers market could do for our community. The goals were clear: create opportunity for farmers and artisans and to make local food more affordable, accessible, and approachable for everyone. From the very first day we were open as a market, members of the community wanted to support what we stand for and what we are trying to achieve. Through hard-working vendors, enthusiastic volunteers, loyal customers, and supportive community partners, the Community Farmers Market was able to grow in size. Very quickly we outgrew our small back parking lot. We moved to the front lot, with more visibility and accessibility. After partnering with WKU, we were able to move inside an adjacent building during the winter months, getting closer to a goal of a year-round market. And in October 2013, we moved into our current market home, finally offering our community a year-round, indoor, producer-only farmers market. And though we love and appreciate our market building, it’s not much more than a building without all the people. We couldn’t exist without our community! Our vendors, customers, volunteers, and community partners are the threads that are woven together to make the Community Farmers Market a lovely place to be. Our diverse community inspires us to create and participate in outreach programs, to remain faithful to food accessibility for everyone. With supportive community partners, we created and implemented a Double Dollars program for SNAP, WIC, and Senior Nutrition participants – and now we are thankful to participate in the Kentucky Double Dollars Program. We created a Kids Club to help kids learn about local nutritious foods, and bring excitement to their market experiences. We bought a bus and host Mobile Markets throughout our community. We hold free farm tours and “Folk Schools”, where customers can learn more about our makers and growers, and can even learn a fun skill. Guest vendors from around the state frequent our market, offering Kentucky Proud products that our customers can’t readily find in our community. We offer night markets multiple times a year, bringing a different type of local shopping experience to our community. And coming this year, we’ll be implementing our new “Shop with a Dietitian” program, which will mean nutritious meal sampling, planning and guidance from a registered dietitian at the Community Farmers Market. Exciting stuff to share with our community! 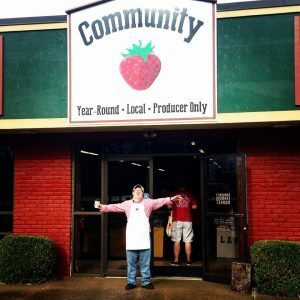 We are so excited to take over FMC’s Instagram account because we hope it will continue our mission of making local food more affordable, accessible, and approachable not only in our community, but also in yours!